Thank you for your support during this difficult time. Please enhance this tribute to Frederick by adding your memories and photos. 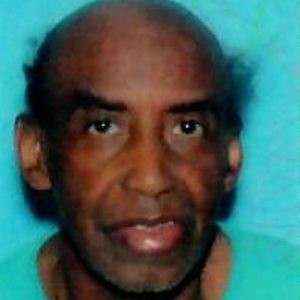 Mr. Frederick Minnis, Jr. 79, of Center Street, Waterbury, passed away Tuesday, March 3, 2019, at Waterbury Hospital, after a long illness. Mr. Minnis was born On October 2, 1939, in Waterbury, a son, to the late Frederick and Lillie (Gatling) Minnis Sr.
"Freddie", as he was affectionately called, was educated in the Waterbury Public School System and attended Kaynor Technical High School. He worked at various companies in the Waterbury area and prior to becoming ill he worked as an Inserter at the Republican American Newspaper Company for many years. Freddie was a quiet person. A man of few words. He was an avid sports fan with his favorite team being the New York Yankees, New England Patriots, and the Boston Celtics. He also loved to watch old Western Movies, the holidays, cookouts with family and spending time with friends at Winners in Waterbury, the former OTB. Freddie will be missed by all who knew and loved him. He leaves to cherish his memory, two sisters; Mary (Minnis) Lewis and Margaret (Minnis) Hunter both of Waterbury, several nieces, nephews, cousins and friends. Fred, miss our time together at family picnics and holidays, and our Fridays. Also missed talking during March Madness. Gone too soon. Life Stories provides friends and families a forum to post their favorite stories and memories of Mr. Frederick Minnis, Jr. ensuring the precious experiences are never forgotten. Share joyful times, post a photo that captures the moments you cherish, and allow others to reply, relive and remember.